#CincoDeMayo is here again! Is it just me, or is every year passing by faster than ever? I think that certain holidays get drowned out in a bit of confusion - often people aren’t even sure of the actual meaning of the date. Cinco de Mayo is often mistaken for Mexico’s Independence Day, but this date is observed to commemorate the Mexican army’s unlikely victory over French forces at the Battle of Puebla on May 5, 1862. My point being that it’s important to learn about, share, and honor different cultures’ holidays. It’s fun to explore different recipes - I have a bunch of fun and delicious ones for your weekend’s festivities here. It’s also really fun to dream up and put your own twist on the classics! One of my favorite summer snacks is sweet, ripe mango slices sprinkled with Tajín seasoning and fresh lime juice. If you haven’t tried Tajín, it’s a tangy, spicy seasoning powder made of chili peppers, salt, and dehydrated lime juice. It’s amazing on fruit, and even more delicious in micheladas. Since I’ve always loved this simple and absolutely yummy flavor combo, I thought it would be fabulous when translated into a cocktail! - In a shaker, combine 2 oz tequila, 2 oz triple sec, 2 oz lime juice, and about 2.5/3 oz mango puree over ice. You can use more mango puree/juice if you like your margarita on the sweeter side. If you’re using fresh mango, throw this all in a blender for a blended frozen margarita! - When you’re looking for a good mango juice/puree to use, look at the ingredients and make sure there’s no high fructose corn syrup added. You’re looking for straight up mango juice! If not, don’t sweat it and use your favorite brand. - Shake it all up! 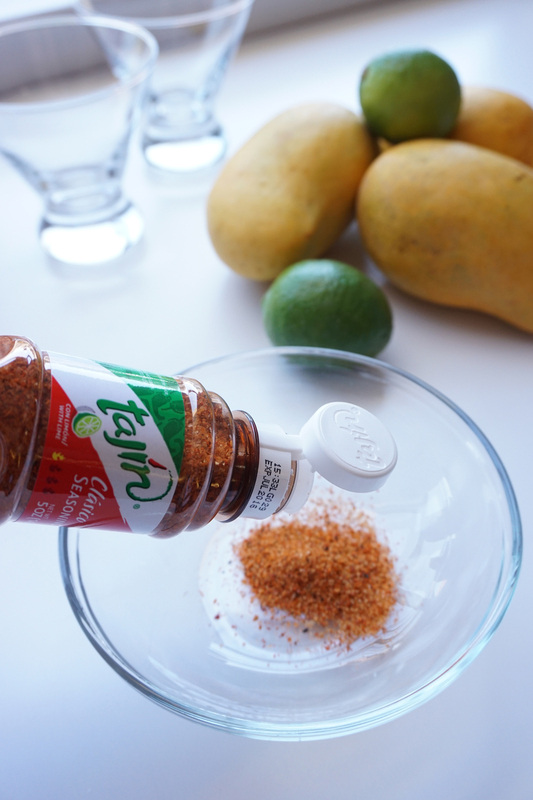 - Sprinkle some Tajín in a shallow dish. 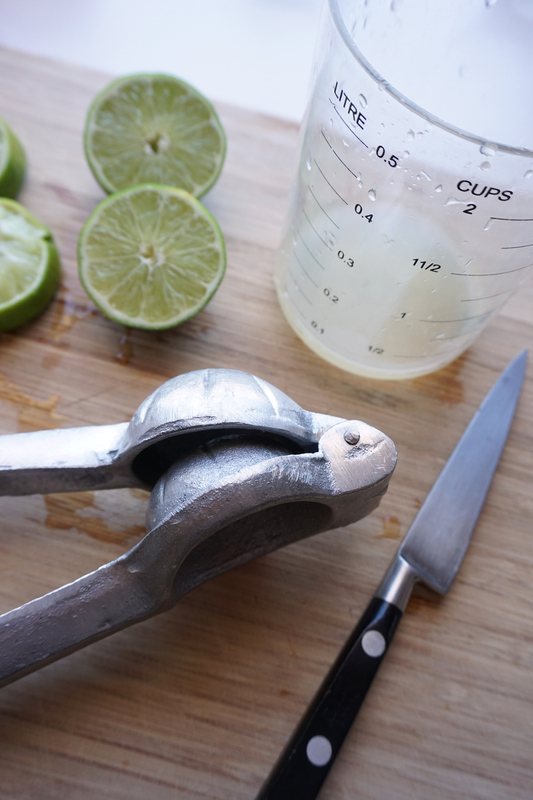 I like to dip my finger in used jigger and use either a few drops of the leftover tequila or triple sec to moisten the rim of your glass. 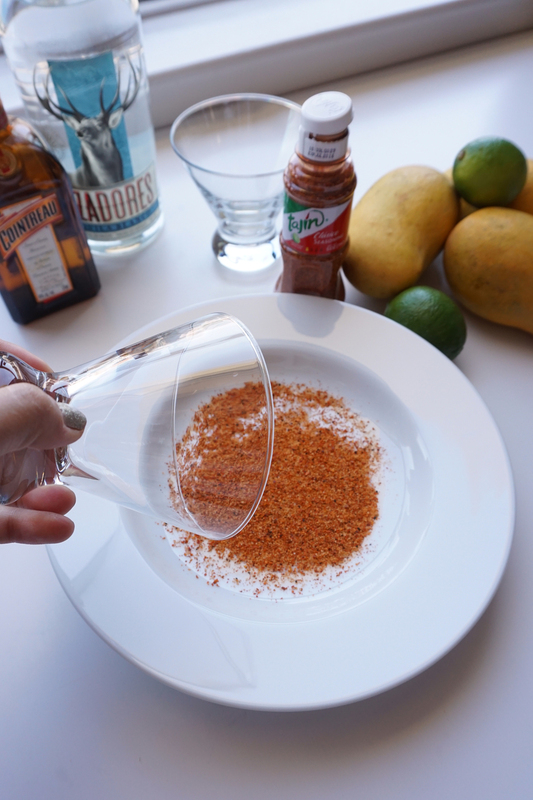 Dip the glass into the Tajín seasoning and get a nice little rim goin! - Pour your cocktail into the glasses! Sometimes it’s nice to chill the glasses as well.